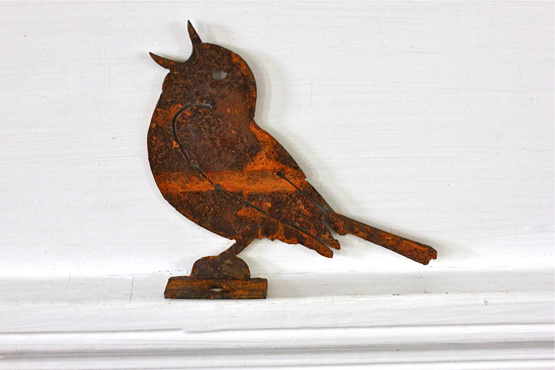 Warbler- beautifully detailed, stands on a base so he can be attached to ledge, window sill, fence post, or porch railing. 4 3/4" from tip of bill to tip of tail, 3 1/2" tail. Made of metal. Made in the U.S.A.